Winter driving can be treacherous, the thought of it keeping some motorists home unless the trip is mandatory. Safe driving habits unfortunately are not always practiced by all motorists, but with a few winter driving tips you can help ensure your own safety. Driving on snow-covered roads presents challenges since pavement markings may be covered, blowing snow can cause temporary visibility reductions, and snow build-up on your vehicle can be dangerous. When snow accumulates on your wheels and on the undercarriage of the car, it causes vibration. Typically, the vibration is primarily noticeable through the steering wheel or on the floorboard. When you feel it, pull over at the next opportunity and remove the snow. Allowing the vibration to continue will affect the car’s ability to stay on the road as well as your ability to properly steer and turn the vehicle. Another good winter driving tip is to check your tires. 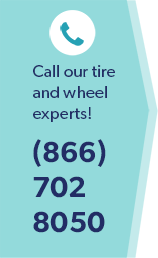 If you choose to use all-season tires on your car rather than snow tires, also known as winter tires, make sure the all-season tires of your choice are high quality tires. National safety guidelines for all-season tires are unfortunately not very strict, and while the tire may be sold as an all-season tire suitable for winter driving that may not always be the case. Tell the salesperson you are looking for a tire that will provide good traction and road contact for winter driving. When buying a new or used car, check out the tires. Check the tire for a “M+S” label on the sidewall, this is used to signify the tire is rated for “mud and snow” driving. While a salesperson may not admit there is a big difference, the difference between all-season tires and winter tires is the rubber compound used. Summer tires do not resist the cold temperatures well, and the rubber becomes rigid and hard providing little or no traction on slippery or snow-covered surfaces. For more information on winter driving tips and preparing your vehicle for winter driving, visit the professionals at Wiygul Automotive Clinic. Serving all of the Northern Virginia metro area, the experts at Wiygul Automotive Clinic can help keep you safe on the road no matter the season.